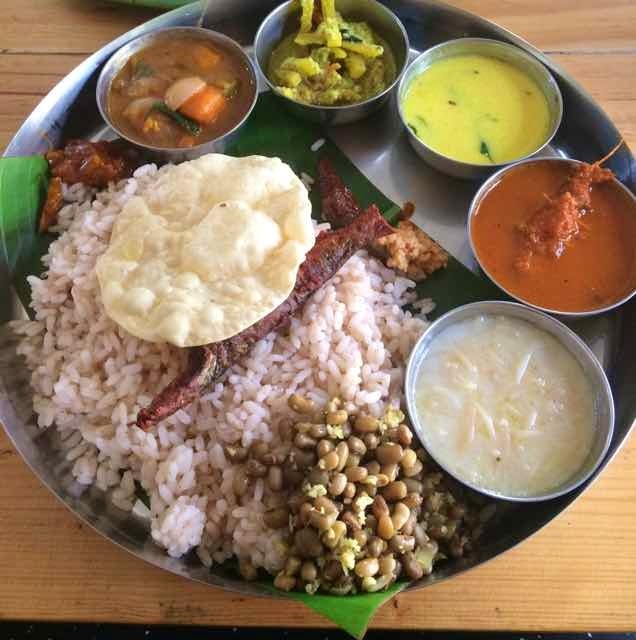 The fish thali sold here is generous, with helpings of Kerala red rice, sambar, a yoghurt-based moru curry, avial, a spicy sardine curry, fried fish along with papad, pickle and a delicious coconut chutney as well. That's a lot of food for INR 150. Order yourself a Kari Meen Pollichathu along with the fish thali. A pearl spot slathered with a spicy shallot-based masala and pan-fried, this dish goes well with the thali. The place is not fancy at all, and has a Kerala toddy shop vibe. So don't go with high expectations. Shaap is also on Swiggy.